Whether you need to make $100 for an immediate expense or are just looking to increase your income or savings, you won't want to miss these tips! We all have those moments when we need cash for an unexpected need. It might be a car repair or even a concert you really want to attend. Maybe you haven't had time to build up your emergency fund – or maybe you just need to increase your income. Thankfully, there are a number of ways you can make the money you need quickly. 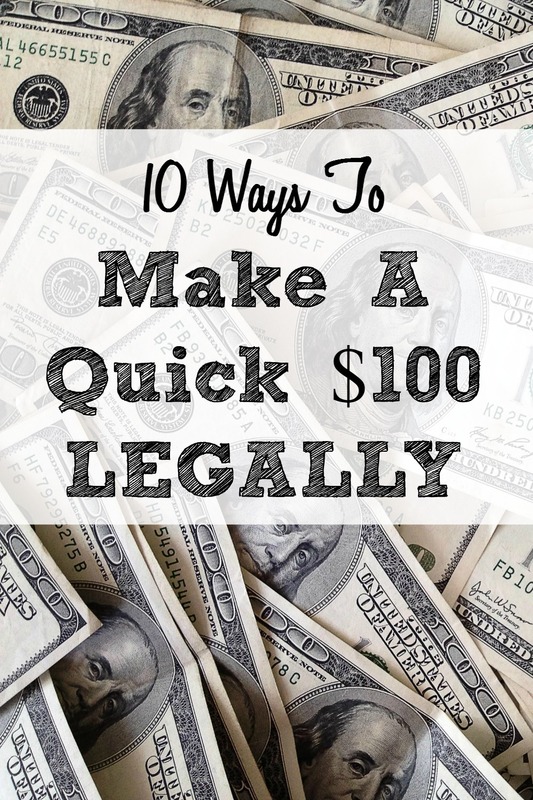 Whether you sell items on eBay or have a yard sale, you can make $100 quickly and legally. eBay has been a popular source of income for almost two decades. It's incredibly easy to list items for sell and you can get paid quickly through PayPal. Gather the items you no longer need and see what they're selling for on eBay. You may be surprised at how much money you can make. Do you know how to score a great deal? Turn that skill into an extra source of income. Thanks to Amazon Marketplace and eBay, you can quickly flip those deals to make the cash you need. The next time you spot an amazing deal, buy extra and sell the items online. Online surveys can be another great way to make the extra cash you need. Many sites pay through gift cards, but there are those that also pay through PayPal. Look for sites that reward you quickly for completing surveys so that you don't have to wait too long to get paid. Yard sales and garage sales are always a great way to make money. What you need to remember is to get the word out. You also want to have an organized sale that allows buyers to find items easily. Be sure to post about your yard sale through Facebook yard sale groups. 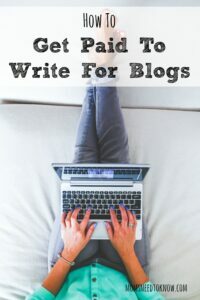 Writing for blogs can be an amazing way to make money. I have personally paid some wonderful writers for posts on this site over the years. Sometimes you will find a blogger just looking for you to give them a quick 250 words outlining the “shell” of the post for $20 (which is what I usually do…but I do them in “batches” of 10 or 20 articles)…and sometimes you will find bloggers willing to pay more than $100 for “complete” posts. Be sure to check out my How To Get Paid To Write For Blogs post for more details! Do you have the time to drive people around? Why not become an Uber driver? This is a great way to make some extra cash. You can visit the Uber website to determine if your car meets the qualifications. The average earnings in 2014 were just under $20 an hour. Love dogs? Why not offer to walk your neighbor's dog? It's an easy and fun way to make some extra money. In most cases, you'll be asked to walk the dogs one to two times per day while the owners are at work. Walks can last one to two hours each time. Does your sister need someone to babysit? Why not offer your services? If you love to be around kids, or already have kids of your own, this can be a fun way to earn some extra money. Yes – I know that babysitting may seem like a job for teenagers, but as a mom who once had 3 children under the age of 6, I can't tell you how many times I would have been HAPPY to pay $20/hour for a night out with my husband! There are a number of online sites where you can tutor children of all ages. You can also offer to tutor children in your area. Either way, if you enjoy teaching, this can be a rewarding way to earn some extra cash. Last, but not least, if you want to earn $100 REALLY quickly, pawn something, It might be gaming systems you no longer use, exercise equipment, the TV from the bedroom, etc. You have the option to pawn it and buy it back later or to sell it. You will usually get more money for pawning rather than selling. The next time you have an emergency, don't panic. There are so many easy ways you can make extra money. Whether you resell items you find at a great price or tutor kids online, there are ways to make $100 legally. « Sloppy Joe Recipe | Sloppy Joe Sliders!